Mother’s Day is almost here and if you’re still looking for something amazing to get the moms in your life, try treating them to one of these incredible Niagara Falls Mother’s Day experiences. Whether you embark on an amazing wine tour of Niagara-on-the-Lake or relax over some afternoon tea, there’s something for every mom to enjoy this Mother’s Day in Niagara. 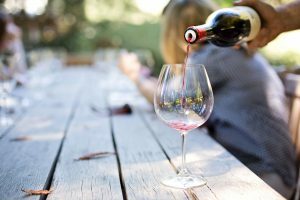 Treat Mom to a full day of fun this Mother’s Day in Niagara by embarking on a Sip & Sizzle Wine Tour through Niagara-on-the-Lake. Sip & Sizzle is an amazing spring event where more than 20 Niagara wineries offer unique grilled food creations paired with amazing VQA wines, and Magnificent Tours will help you experience the very best of it with their Sip & Sizzle Wine Tour. The tour will take you to six (possibly seven, if time allows) of the best participating wineries and includes full transportation by coach bus you won’t have to worry about driving. Chateau des Charmes for 2016 Cuvée d’Andrée paired with house smoked salmon an herb scone with cranberry compote. Ravine Vineyards for 2017 Gewurztraminer paired with Harissa grilled chicken thighs on K2 grain salad. Coyote’s Run Estate Winery for 2016 Positivity paired with Smokin Buddha’s sizzling beef slider, garnished with pickled carrot and daikon, cucumber, okonomi, mayo, and a sprinkle of coriander. Vegetarian option also available. PondView Estate Winery for 2016 Semi Dry Riesling paired with the best sandwich combination this side of Havana – grilled Cubano mojo pork slider on a brioche bun. Strewn Winery for 2014 Gewurztraminer paired with a Sizzling Sampler Trio: Tandori chicken, grilled pineapple, and vegetable samosa. Riverview Cellars for 2016 Bianco Riesling Gewurztraminer paired with Japanese gyoza, fried pork dumplings with wasabi mayo and soy. Hornblower Niagara Cruises is now officially open for the season and is the perfect adventure for Mother’s Day weekend in Niagara Falls. Hornblower offers thrilling boat rides to the base of the American Falls and into the basin of the Canadian Horseshoe Falls. Hornblower is one of Niagara’s most iconic attractions, and is a must-do activity when in Niagara Falls this Mother’s Day. The Floral Showhouse’s annual Hydrangea Show. 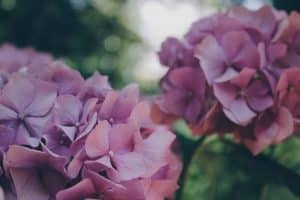 Experience the beauty of spring in Niagara Falls this Mother’s Day at the Annual Hydrangea Display at the Floral Showhouse. Located just a short walk away from the Canadian Horseshoe Falls, the Floral Showhouse is a tropical greenhouse featuring an impressive collection of orchids, succulents, and other tropical plant species along with spectacular blue, pink, and white hydrangeas. The spring hydrangea show will be taking place from May 12th to June 27th. Admission is $5 for adults and $3.75 for children. Prime Steakhouse – Niagara’s newest Fallsview steakhouse experience – is offering an amazing Mother’s Day Brunch on May 13th. The brunch will offer delicious choices like roasted Atlantic salmon, eggs benedict, and Chicken Piri Piri, along with a carving station featuring carved Angus prime rib and food stations with waffles, omelettes, and “eggs your way”. Prime Steakhouse is located inside the Crowne Plaza Niagara Falls – Fallsview hotel and features sweeping views of Niagara Falls from floor-to-ceiling windows. Share an amazing meal with the moms in your life and book your reservations for brunch today. Treat the moms in your life to an unforgettable Niagara Falls getaway with one of the Crowne Plaza Niagara Falls – Fallsview’s amazing hotel experience packages.